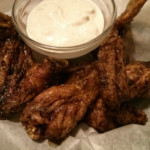 These Sweet & Spicy Soy Sauce Chicken Wings are an old time favorite. Sweet, salty, spicy, delicious and very easy to prepare! They are a must make for your next party!! 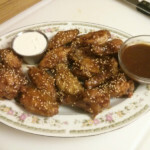 Hoisin Chicken Wings make a deliciously sweet, salty, spicy, finger lickin’ good, Asian-styled appetizer that you can serve at your next party. They go great with a side of Blue Cheese or some extra dipping sauce.